the poll didnt work like i hopped with a tie, but it narrowed it down to 2 locations. so today i flipped a coin. heads spearhead and tales windrock! so call and book your spots. Glad you all are planning on going. Calling today to book a cabin or a room at the comfort inn. Wish we could join ya'll but surgery ain't gonna allow that to happen. Next year! Ya'll have a good time and be safe. Hey Bush are we going to be able to have the ride? or are the trails and campground flooded now because of Florence? if the camp ground is flooded aint nobody goen nowhere !! 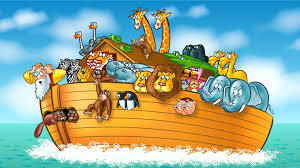 If the campground floods, look for NOAH, he would be on his 2nd voyage. We may have got an inch of rain hear. So no worries. Now we have had some hard rains over the last few weeks and some of the trails my have some good guys but that makes them better. Now if that campground is flooded there are major problems. It on top of an old strip mine. The road up is steap. It,s a miracle! The friend that was riding with me when I flipped the teryx and later was in a terrible car accident, is going to ride with me at spearhead. I would have bet good money that he wouldn’t ever be physically able to ride ever again. His name is Phil. It seems like there were some roads near spearhead that were not great for towing an RV. What is the suggested route? Charles I have the only route for trailers. I will update you later, maybe next week, when I get the route from my truck. with you coming from the south headed north put Abingdon VA in your gps. once you get there follow this. when is everyone planning to arrive? I am planning to get there Thursday mid afternoon. I sent the directions by text also. Hope you got them. Got my reservations made at the comfort inn,Grundy. I may impose on you guys in the campground to park my Rzr and trailer there Friday night. Are we doing a potluck Saturday night? pot luck sounds good to me. Subject: Re: fall ride 0ct 19-20 @spearheads coal canyon/Ridgeview trails.